Though going to the gas station is often associated with a signature smell, a new study from the Columbia University Mailman School of Public Health found that what’s being pumped into the air at gas stations is much more toxic than many consumers would have thought. This becomes particularly troublesome when considering that many parks, playgrounds, and schools are required to be a certain distance away from gas stations because of these emissions. According to these new findings, fumes from gas station vent pipes were found to be 10 times higher than what was previously estimated. 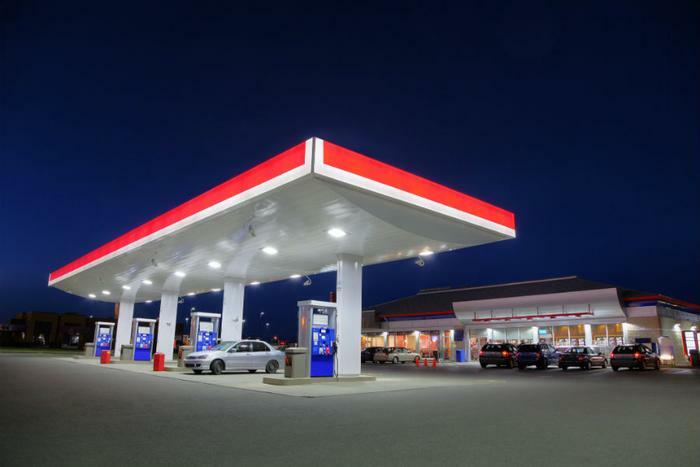 The researchers wanted to put a number to these fume releases at gas stations in an effort to learn more about the damaging effects to consumers. They also examined how often the areas around gas stations were exposed to benzene -- a carcinogen -- beyond the short-term limits. The researchers performed the same experiment at two gas stations -- one in the Midwest and one in the Northwest -- for three weeks at a time. They attached meters to the venting pipes at the gas stations to measure the emissions releases. The findings show that, on average, anywhere from 1.4 to 1.7 pounds of liquid gasoline are being evaporated into the air for every 1,000 gallons pumped into cars. This greatly affects consumers for a number of reasons, but particularly when considering the implications this has in big cities. In their report, the researchers use California as an example, because the state’s estimates of gas station fumes proved to be much lower than this study’s findings. The California Air Pollution Control Officers Association (CAPCOA) created a 300 foot setback rule, which means that certain facilities cannot be built within 300 feet of a large gas station. They came to this figure based on estimates of 0.11 pounds of liquid gasoline emissions for every 1,000 gallons. The researchers also measured the potential for exposure to benzene by simulating how the fumes are carried into the air. The measurements were assessed against three well-known systems: the California Office of Environmental Health Hazard Assessment one-hour Reference Exposure Level (REL), the Agency for Toxic Substances and Disease Registry’s Minimal Risk Level (MRL), and the American Industrial Hygiene Association’s Emergency Response Planning Guidelines (ERPG). The ERPG -- the most lenient measuring system -- was the only measuring system to not be exceeded by the simulated benzene levels. The REL measures the chemical based on one straight hour of contact, and in this test, the levels were exceeded at both the Midwest and the Northwest gas station for over 50 meters. The MRL measures chemical exposure anywhere from two weeks to one year, and at both gas stations, saw exceeded levels between seven and eight miles away. “Officials should reconsider their regulations based on these data with particular attention to the possibility of short spikes in emissions resulting from regular operations or improper procedures related to fuel deliveries and the use of pollution prevention technology,” Dr. Hilpert said.